We have been really lucky on this trip to have Kyu Kyu volunteering with us. Kyu Kyu is is originally from Myammar and is a registered nurse. She has acted as our interpreter for the past few days. 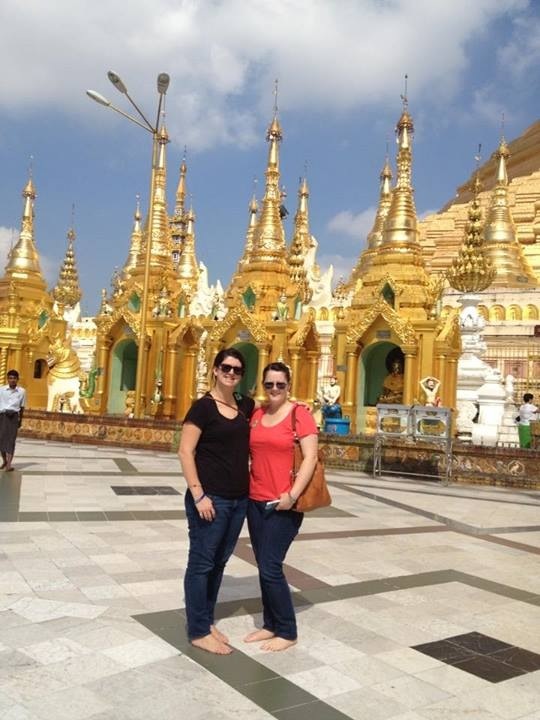 Today Lauren and I were treated with a personal tour of Yangon. We began our morning at the golden Shwedagon Pagoda, which contains eight hairs from Buddha himself, which was built 600 BC. 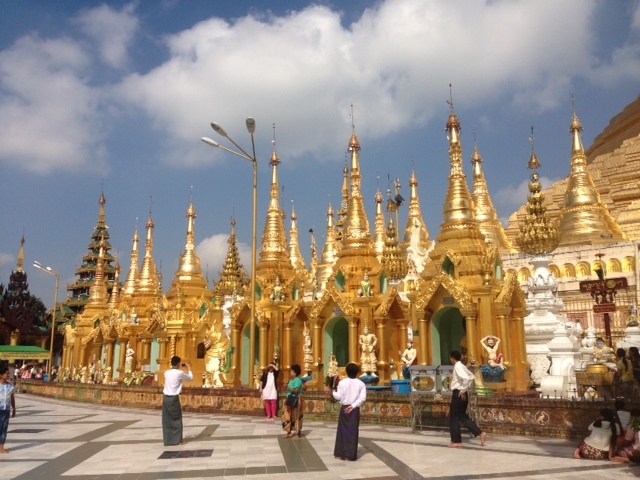 The golden pagoda glistens in the sun and contains century old jewelry and gems. It’s lovely by day but awe inspiring after dusk. The darkened sky makes the temple glow under the lights. A magical place to visit anytime. To cool off from the humid conditions we tasted a traditional fresh lime juice with sugar syrup- yum! A mix of sweet and sour that tastes amazing! There is an abundance of fresh juice and fruit and you never go hungry in Myanmar. We visited the bustling Bogyoke Aung San Market famous for its fabric, jewelry shops, antiques and art. We could have spent all day wandering the cobblestone streets buying local handiwork. We had amazing morning and felt very privileged to see what makes Yangon so special. We learnt so much about the history of Myanmar and who better to hear it from than a local. Thanks for a memorable day Kyu Kyu!